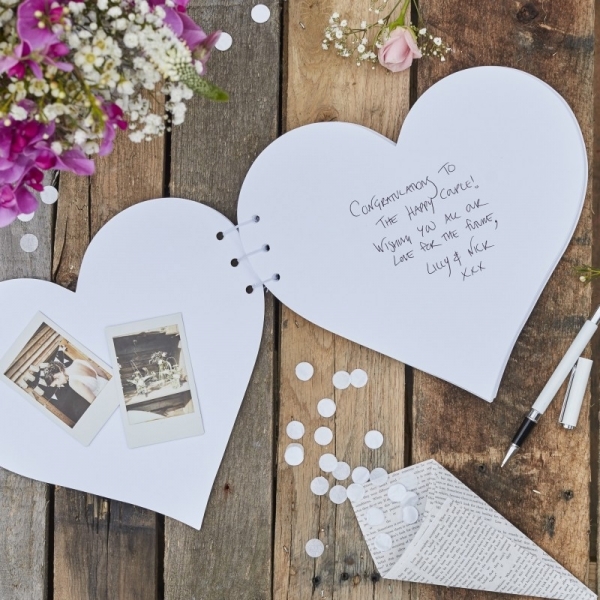 Our beautiful heart shaped kraft guest book looks stunning with crisp white scripted lettering set against a kraft brown coloured background, a perfect, adorable finishing detail you will be able to keep forever. This is a rustic take on a unique wedding guest book. Bound with white elastic, your guests can pop photographs and messages from your special day, place the guest book in an area that your guests will be drawn to, springkle with confetti or drape garlands for a gorgeous display. 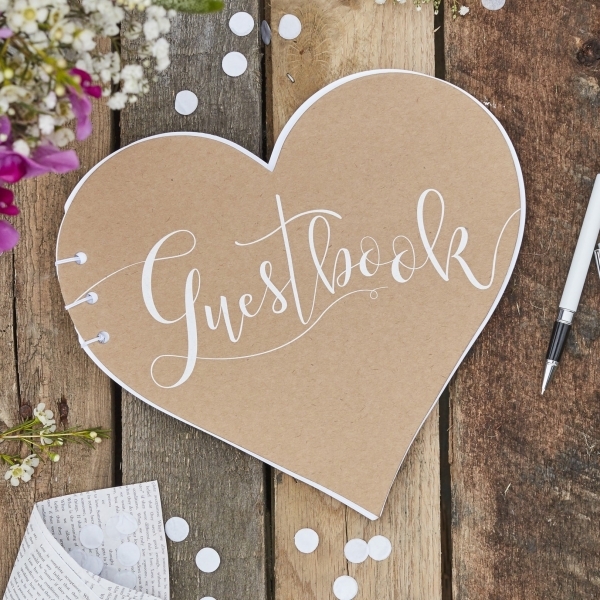 Be sure to have someone pass the guest book around at your wedding reception to make sure everyone gets the chance to write a message. This guest book is not wedding specific, it can also be used for engagement parties, birthday parties or anniversaries. Size: 24 cm long x 23 cm wide x 1.3 cm high. Contains 32 x double sided blank white pages, no lines.